Jay has an active adoption practice in Philadelphia, Montgomery, Delaware, Bucks, Chester, Berks, Northampton, Monroe, Carbon, Pike, Luzerne, Northumberland, Lackawanna, Susquehanna, Schukyll and Lebanon counties. He has lectured at seminars for the Philadelphia, Montgomery, and Delaware Bar Associations, Pennsylvania Bar Institute and RESOLVE concerning child abuse and adoption issues and has guest lectured at Villanova Law School. He has also participated in several advisory committees concerning adoption and child abuse issues including the Montgomery County Child Advocacy Project, and the Advisory Board of the Statewide Adoption Network. 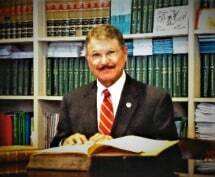 He is a Fellow of the American Academy of Adoption Attorneys, the Family Law Section of the Philadelphia Montgomery and Delaware County Bar Associations, the Legislative Committee of the Delaware Valley Adoptions Counsel, and the Adoption Law Committee of the Philadelphia Bar Association Family Law Section. Jay represented a family that was filmed in the President Judge's Chambers at the Delaware County Courthouse in Media, Pennsylvania, on November 26, 2003, and broadcast on Adoption Stories, an Alliance Atlantis Production of Canada. In November 2007, Jay appeared on Delaware Tonight which was broadcast on Channel 12 (WHYY TV) to discuss adult adoptees' rights to access to their birth records and other adoption issues.